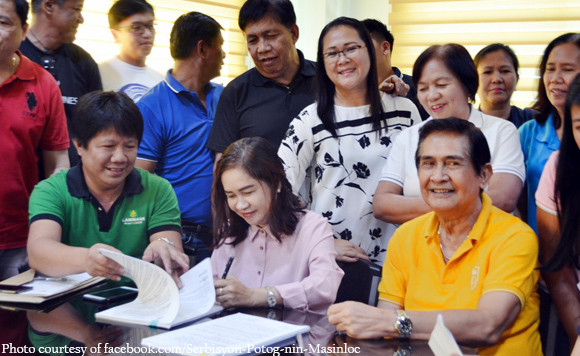 Local officials of Masinloc town in Zambales have secured a loan for the construction of the municipality’s Sanitary Landfill and Water System Project. According to Facebook post of the municipal government on Friday, Mayor Arsenia Lim led the signing of the contract with Landbank for the loan program. Vice Mayor Dady Enciso and members of the Municipal Council witnessed the signing. Department heads from the municipal government were present as well. Early this month, Lim led the groundbreaking ceremony for the sanitary landfill project located at Km 10 Baloganon.